According to a radio interview Stephen Harper gave two weeks ago, the majority of Quebecers aren’t “leftist” in the Prime Minister’s mind. Instead he accused Radio-Canada of being run by people who hate “conservative values.” Harper insists, “there are many at Radio-Canada who hate these values, but I think that these values are the true values of a large percentage of Quebecers.” Although it’s hard to find an explicit definition of conservative values, the government’s recent actions can give us some indication of what Harper is talking about. The Conservatives would like to present their record as one concerned with safety from crime and terrorism, while focusing on fiscal responsibility. Nothing Orwellian, just conservative. Granted, 72.6% of Quebecers voted for the NDP, Liberals, Bloc Quebecois, and Green Party in the 2011 Federal Election and those three continue to hold 70-80% of the popular vote. Yet apparently the opposition parties are incorrectly portraying Quebecers as leftists for their own nefarious means. Now the results of the provincial election may tell a different story. 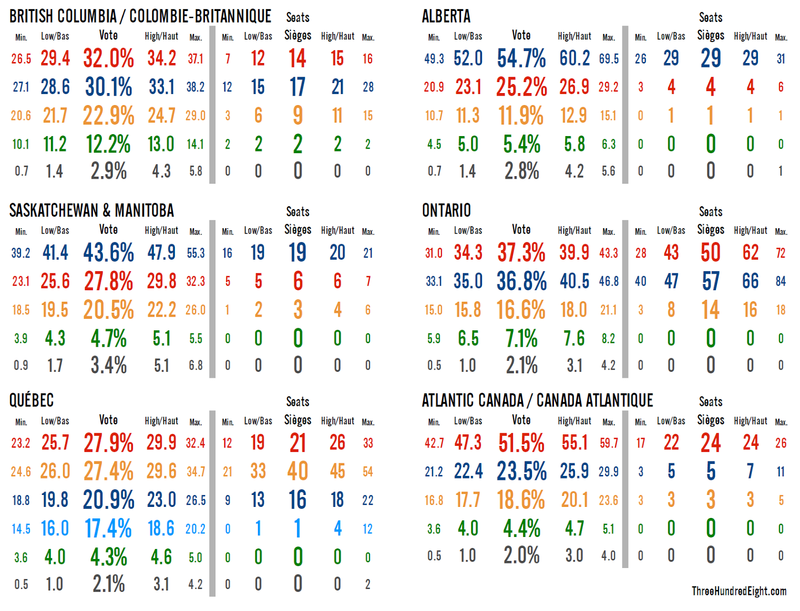 It is true, that the Quebec Liberal Party and the CAQ are both right of the center and hold 90 odd seats in the National Assembly, but as NDP Leader Tom Mulcair has pointed out before (to defend sitting as a Quebec Liberal from 1994-2007) NDPers often vote for the Quebec Liberal Party; as the only federalist option. Tory support is gaining ground in the province, with recent polls averaging them at nearly 20%. Perhaps 20% counts as a “large percentage” of Quebecers in Stephen Harper’s mind. For Conservatives (who haven’t held more than ten seats in Quebec since 1988), that number could be a lot! Support for the Tories seems to stem from their stance on the war in Iraq and security issues. What better way to win the hearts and minds of Quebecers than via intolerance against anyone who isn’t white? Whether this current support will translate into votes cannot yet be definitively concluded. We are talking about the province that rioted when conscription was brought in, surrendered Montreal several times, and suffered the only peacetime enactment of the War Measures Act. Perhaps this current surge is merely a joke the province is playing on Harper before they pull the toque out from under him. The Prime Minister shouldn’t be patting himself on the back for a job well done yet. Just because a clear majority of Quebecers support the war in Iraq and getting tough on Terrorists doesn’t mean they’ll support the Tories at polling day. Still, a man can dream.